Nauru is a small oval-shaped coral island (21 sq km in area) in the Western Pacific Ocean, located 42 kilometres south of the equator. It is one of three great phosphate rock island in the Pacific Ocean; the others are Banaba (Ocean Island) in Kiribati and Makatea in French Polynesia. The island is surrounded by a coral reef, exposed at low tide and dotted with pinnacles. The reef is bounded seaward by deep water and inside by a narrow sandy beach. A 150-300 metre wide fertile coastal strip lies landward form the coast, ending in forested coral cliffs that rise to the central plateau known as “Topside”. The presence of the reef has prevented the establishment of a seaport, although 16 channels in the reef allow small boats access to the island. Revenues traditionally have come from exports of phosphates. Few other resources exits, with most necessities being imported, mainly from Australia, its former occupier and later major source of support. Primary reserves of phosphates were exhausted in 2006, but mining of “secondary phosphate” in the interior of the island began the following year. It is thought that there are about 10million tonnes remaining. Phosphate mining in the central plateau has left a terrain of jagged pinnacles up to 15metres high (which may also have value as aggregate and as a source of decorative stone). The highest point of the plateau is 65 metres above sea level. The island’s only fertile areas are within the narrow coastal belt and the land surrounding the inland Buada lagoon on the central plateau, where bananas, pineapples and some vegetables are grown. Some secondary vegetation has begun to cover the central plateau and its coral pinnacles. The population of Nauru is concentrated in the coastal belt and around Buada lagoon. English is widely spoken and it is the language of government and commerce, as Nauruan is not common outside of the country. The main ethnic groups are Nauruan (58%), other Pacific Islander (26%), European (8%) and Chinese. The literacy level is 96%. Education is compulsory for children from 6 – 15 years old, and two non-compulsory years are offered (Years 11 and 12). 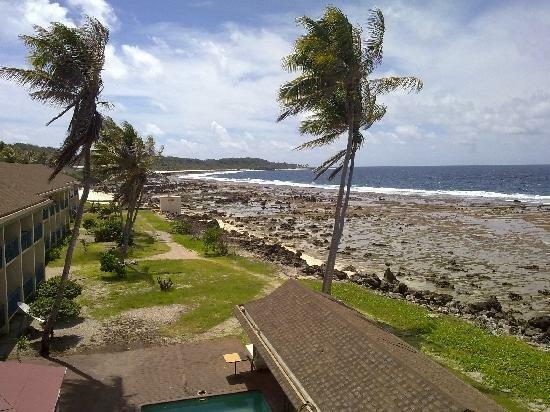 There is a campus of the University of the South Pacific on Nauru. Every Nauruan has rights to land that is held individually and passed down from parents to children. There are two kinds of land – coconut land and phosphate land. Coconut bearing land is synonymous with residential land and located around the coastal part or bottom side of the island. 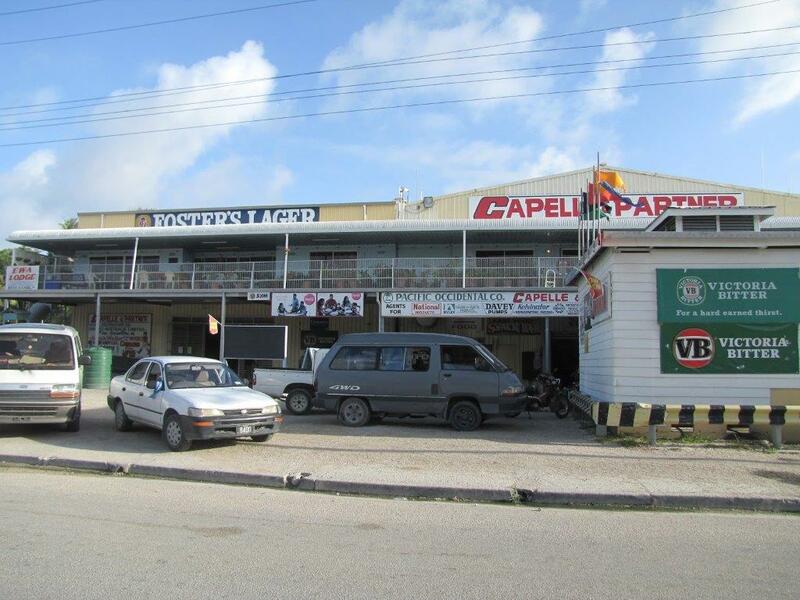 The phosphate bearing land is located at Topside and is not for residential or building purposes but leased by Ronphos for mining by the Nauru Rehabilitation Corporation on behalf of RonPhos. All lands, which are leased for a specific period of time for general, commercial and development purposes, are owned by individuals or groups of Nauruan landowners. Government, corporate entities and foreigners do not own lands but are required to enter into a lease with landowners. Australian Rules football is the most popular sport in Nauru. There is a football league with seven teams. All games are played at the Linkbelt Oval. Other popular sports include volleyball, netball, weightlifting, boxing, fishing and tennis. The main religion is Christianity and the Constitution provides for freedom of religion. Phosphate mining, processing and export is the main industry and provider of employment in the country. Economic growth was flat in 2010, largely because of weak phosphate demand and because damage to port infrastructure restricted export activity. Repairs to the mooring facilities have now been undertaken and with the recovery in world demand for phosphate, economic growth is expected. The past four years have also seen the resumption of phosphate mining, providing the basis for a more diversified economy in the future. The next stage in economic development has begun with an increase in domestic food production, the establishment of livestock rearing, and the rehabilitation of the mined-out areas of Topside. The global crisis hit Nauru as it was just beginning to recover from its own decade-long national economic crisis. 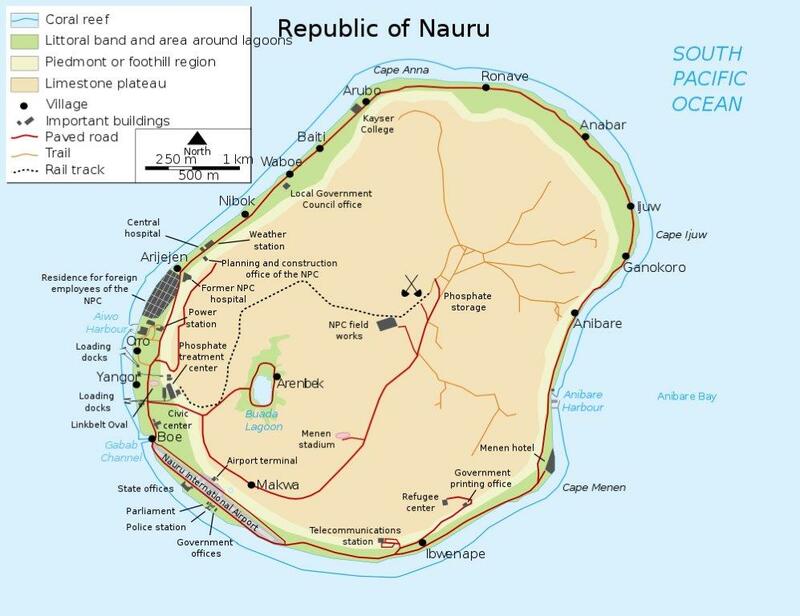 From 2000, Nauru had relied largely on payments from fishing rights within its exclusive economic zone, earnings from hosting two Australian refugee processing camps, and massive injections of grants and development funding, principally from Australia, New Zealand, Japan, China and more recently Taiwan. Prices of imported food and essential goods remain relatively high, with the price of a bag of rice still more than double the world average. At the same time, household income reduced due to the decline in the phosphate industry. Nauru is a republic with a parliamentary system of government. The president is both the head of state and of government. An 18-member unicameral parliament is elected every three years. The parliament elects a President from its members, and the President appoints a cabinet of five to six members. Nauru does not have any formal structure for political parties. Nauru and Australia have close diplomatic ties. In addition to informal defence arrangements, the September 2005 Memorandum of Understanding between the two countries provides Nauru with financial aid and technical assistance, including advisers on health, education and public administration. The Government wholly owns Ronphos, which reports to the Minister for Commerce, Industry and Environment, and which is one of several State Owned Entities and agencies that were previously part of the Nauru Phosphate Corporation. In 2009, the government revised its National Sustainable Development Strategy 2005-2025. This strategy sets vision for the future, and for Ronphos, sets targets for phosphate exports and dividends. Nauru uses the Australian dollar as its currency. As there is no physical bank on the island, mobile money is being introduced in partnership with Digicel to reduce the need for cash holdings and the provision of credit. This will allow cashless transactions to take place using mobile phones that carry electronic funds for use in local stores. There is a potential for the facility to be extended to businesses for offshore transactions and to Government for transactions such as payroll. WiMax was introduced last year and the Government has agreed to fund two more WiMax towers to cover the existing “black spots”, so that everybody will have equal access to the Digicel phone and internet systems currently available. 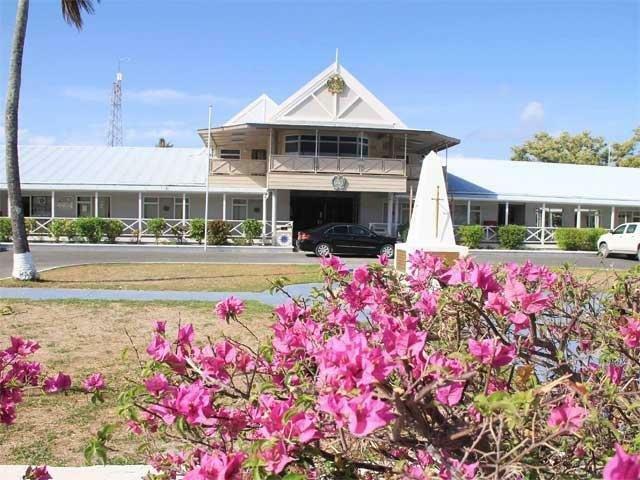 There is a state-owned television station, Nauru Television (NTV), which re-broadcasts programmes from New Zealand and Australia, and there is a state-owned non-commercial radio station, Radio Nauru, which carries programs from Radio Australiaand the BBC. The state-owned “Our Airline” fies once a week from Brisbane (leaving Sunday nights) to Nauru via Honiara, en route to Nadi, returning direct to Brisbane on Wednesday afternoons. These flights have increased to several flights per week since the agreement between Nauru and Australia Refugee settlement due to increasing demands from the workers of the Refugee camps.